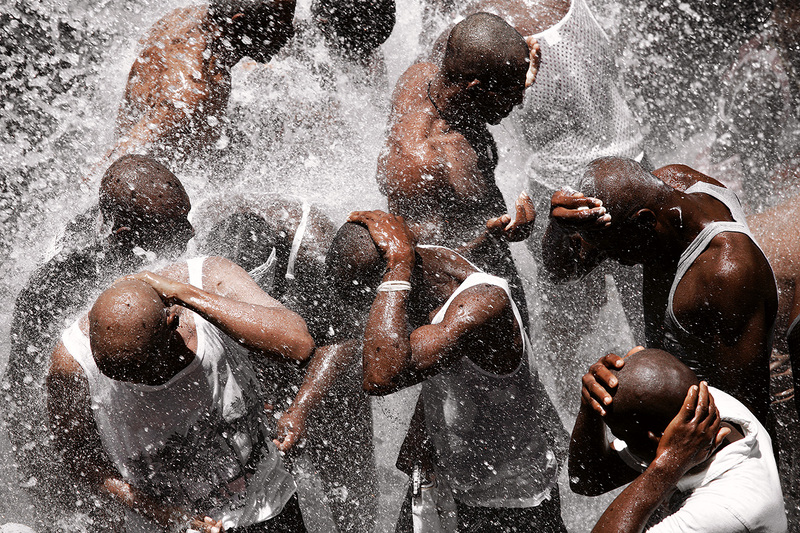 men gather for baptism and purification beneath the pounding waters of the sacred falls at Saut-d'Eau. These waters also contain the powers of the ancient vodou spirit, Danbhallah. This force is regenerative for the vodou pilgrim.